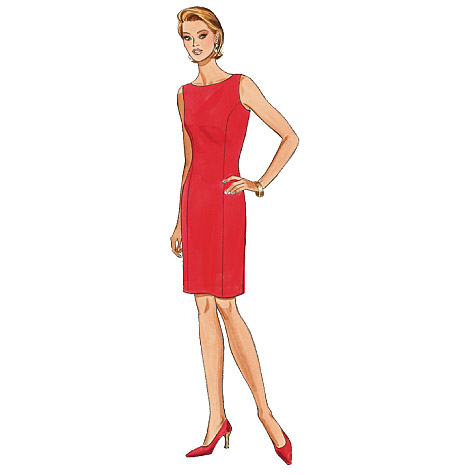 MISSES’/MISSES’ PETITE DRESS: Close-fitting, lined, tapered dress, neckline variations, above mid-knee or evening length, has princess seams. A, B: side zipper. 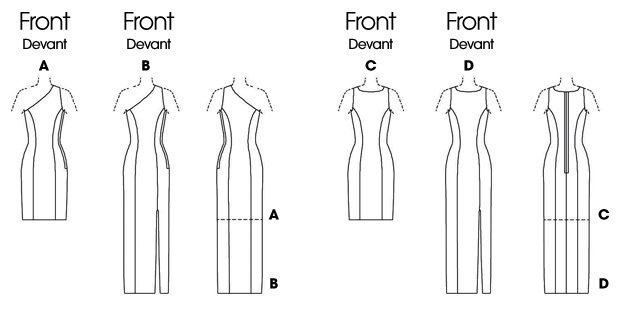 B, D: side front slit. C, D: back zipper. 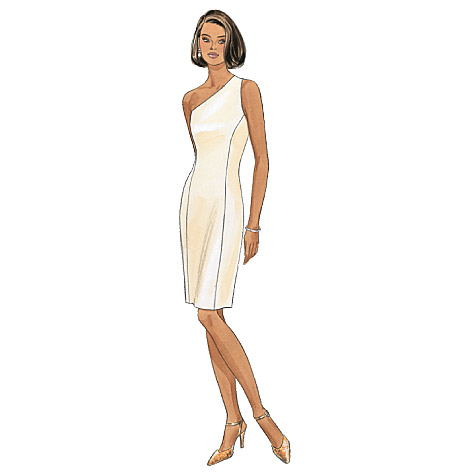 NOTIONS: Dress A, B: 16" Zipper, Seam Binding, Hooks and Eyes. Dress C, D: 24" Zipper, Hooks and Eyes. Also for D: Seam Binding. 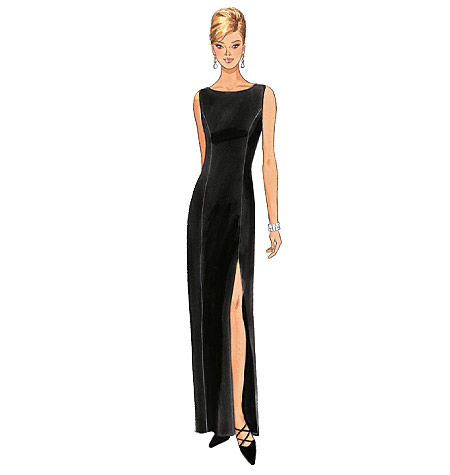 FABRICS: Faille, Crepe, Crepe Back Satin, Lightweight Taffeta and Lightweight Velveteen. Unsuitable for obvious diagonals or plaids. Allow extra fabric to match plaids or stripes. Use nap yardages/layouts for pile, shaded or one-way design fabrics. *with nap. **without nap. 35" Yardage on Instruction Sheet.